Companies in a variety of sectors are not letting potential challenges hinder their efforts to achieve a deforestation-free supply chain, however. Rather than allowing potential roadblocks to hamper sustainability efforts, corporations are harnessing technological innovations to achieve environmental and business objectives. Consumer demand for eco-conscious products and services is on the rise, and more and more large companies are making high-profile commitments to end deforestation in their supply chains as a result. Given the size and scope of these corporations, it will take not only the corporate will to make the necessary changes, but also the creation of innovative technologies and solutions to revise supply chain practices. Despite increased demand for recycled materials and more environmentally-friendly sourcing there is no consensus about how pulp and paper and palm oil suppliers can best implement changes and make the transition in a way that continues to meet the demands of their customers. Below are a few examples of how companies have embraced diversity and used these challenges as catalysts to advance sound environmental policies while simultaneously fulfilling broader business performance goals. Environmental groups have targeted the palm oil industry for many years, especially its presence in Indonesia and Malaysia, and increasingly in Africa. Indonesia and Malaysia alone account for approximately 80 per cent of the world's palm oil production, now one of the most widely used vegetable oils in the world. Cargill owns two palm plantations in Indonesia as well as 12 refineries across the world. Facing major pressure from environmental activists, Cargill pledged through its sustainability commitments not to plant on areas of HCV forest and not to develop new plantations on deep peat land. The company also implemented a strict no-burn policy for land preparation. This was brought on by concerns surrounding forest conservation, peat land conversion, waterway protection and indigenous communities' rights. The company also joined forces with NGOs and local communities to monitor its environmental impact, encourage sustainable farming practices, and ensure a traceable palm oil supply chain. The production of food around the world has a significant impact on forests and the protection of HCV and HSC areas. When two food giants made pledges of a deforestation-free supply chain within a few weeks of one another, it subsequently made big headlines. Agribusiness giant Archer Daniels Midland (ADM) agreed to stop deforestation in its supply chain due to concerns about its soy and palm oil production. The commitment, which is similar to pledges made by palm oil giant, Wilmar, in 2013, was in response to pressure by shareholders that manage fossil fuel-free mutual funds and the New York State Common Retirement Fund, which has now withdrawn a proposal outlining the investment risks associated with deforestation. ADM's commitment will likely have a significant impact in South America, where the production of soybeans has led to damage in the Amazon. 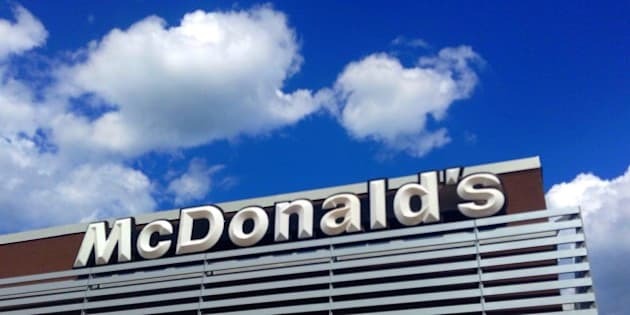 McDonalds, the largest fast food company in the world, with more than 1,400 locations in Canada, also announced that its supply chain would not contribute to deforestation. This policy is a cross-commodities approach, covering "beef, fiber-based packaging, coffee, palm oil, and poultry." While other fast food companies have implemented similar initiatives, the global influence of McDonalds could sway more within industry to examine its practices, particularly given the commitment will affect thousands of direct and indirect suppliers. McDonalds has said that it will suspend or eliminate purchases from suppliers who do not meet its requirements. What will be the impact of ADM and McDonalds' commitments? It's safe to say that both companies will have many observers. As the number of companies that adopt and implement deforestation-free supply chains increase, there will be more environmentally conscious brands defining and sharing a new standard business model. Recognizing the need to reform its approach to sourcing materials used in the manufacture of pulp and paper products, Asia Pulp and Paper (APP) implemented its Forest Conservation Policy in February 2013. The policy stipulates a zero-deforestation commitment and a permanent end to high-conservation/high-carbon stock forest clearance by its suppliers across its entire supply chain. APP has further broadened its commitment by pledging to support the protection and restoration of one million hectares of forest in Indonesia to make an impact on the landscapes both in and around the plantation. All companies applying new best practices and policies have learned an important lesson -- challenges can foster innovative solutions. Moving forward, it will be important to transparently monitor and report on progress and share ideas. This is where greater collaboration with NGOs, certification bodies, farmers and others will help companies evaluate their supply chains, look for ways to improve them, and create positive impacts in the future.